If you’re experiencing pain in the heel of your foot, it may well be plantar fasciitis, the medical term for the thickening of the plantar fascia. The plantar fascia is a broad, tough and flexible band of tissue, which runs under the sole of the foot. 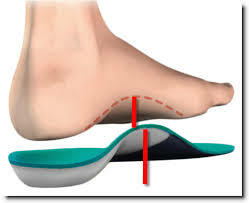 It connects the heel bone to the other bones in the foot, and also acts as a shock absorber. Plantar fasciitis may occur as a result of recent damage or may as a result of tiny tears (micro tears) inside the tissue of the plantar fascia, which may have occurred over many months or even years. This results in thickening of the fascia, which leads to pain that is experienced under the heel itself and often on the inside of the foot, at the origin of the attachment of the fascia. Activities such as long-distance running or even walking, which place a great deal of stress on the heel and attached tissue. A sudden increase in activity or an alteration in the surface you are running on can also contribute, for example going from the treadmill to road running. 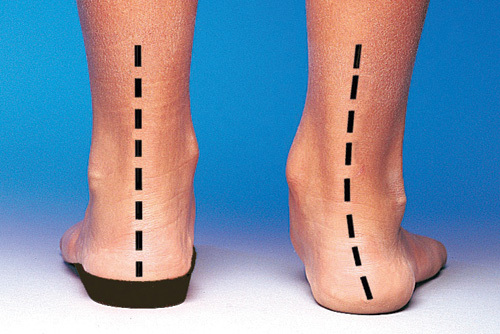 Excessive pronation – the foot rolling inwards when walking – which causes additional stretching of the planter fascia. Being overweight is another risk factor, as the excess weight can impact on the foot. Weak foot muscles which do not provide enough support to the plantar fascia. These small muscles create the shape of the foot through holding the bones in position and allowing movement through expansion and contraction. Tight calf muscles leading to the prolonged pronation of the foot. This creates a repetitive over-stretching of the plantar fascia which can lead to inflammation and thickening of the tendon. However, there are a number of ways to both prevent and treat planter fascia problems at home. Footwear is important. Shoes should be flat lace-ups, with good arch support and cushioning. This is particularly important where the problem is caused by running: runners should replace shoes every 250-500 miles to maintain optimum cushioning levels. Where tight calf muscles are a problem, performing calf stretches on a regular basis will help to stretch the muscles that connect to the heel. These may be combined with exercises designed to improve balance, strength and flexibility. Applying ice is a well-known remedy for muscle problems, and it can be used on the plantar fascia as well. Simply fill a plastic drink’s bottle with water and freeze. 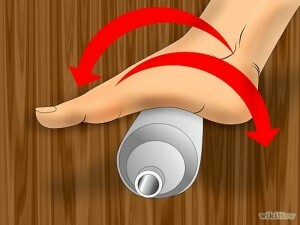 The bottle can then be rolled along the arch of the foot, both stretching and soothing the muscles. Sometimes, however, more serious solutions may be required. Where pain is particularly severe, medication such as non-steroidal anti-inflammatory drugs (NSAIDs) or corticosteroid injections may be prescribed in the short-term. Preventing future problems may require supportive devices, such as orthoses (rigid supports that are placed in your shoe) or strapping, to support the foot properly. 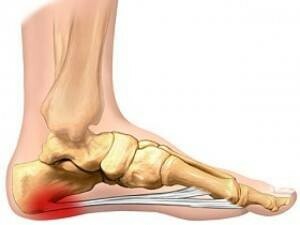 Plantar fasciitis is a condition that we regularly treat at Elite Therapy. As well as manual therapy, we are also able to advise on exercises that will help to reduce the pain. If you’re experiencing pain in your feet, why not give us a call?